This is Part 2 of the fifth report in the Connected World Market Insights Series. This report is also part of the Transforming Health Market Insights Series. Note: This report was written in collaboration with Katrin Altosaar, and Sonia Strimban. Download the PDF of this report. Canada is one of the highest investors in health on a per capita basis, yet that investment has not necessarily translated into better health for Canadians. Canadians undoubtedly value their healthcare system, but understandably demand better return on their $211 billion investment. The current challenges facing the Canadian healthcare system are numerous, but can be generally grouped into two areas: 1) population-driven challenges, including the ubiquity of chronic conditions and our ever-increasing aging population, and 2) system-driven challenges, including increasing costs of labour in formal healthcare settings and the cost of adopting new medical technologies. Part 1 of this series investigated two thrusts that are taking shape in Canada and around the world to mitigate the challenges described above. The first is an emphasis on decentralizing healthcare by moving care out of resource-intensive institutions (such as hospitals) and into other models of care delivery and even self-management in the home and community. The second focuses on building an integrated healthcare system that uses digital health technologies and processes that connect all parts of the healthcare delivery system, seamlessly, so that critical health information is available when and where it is needed. This report begins with an interview with Zayna Khayat, MaRS Health lead at MaRS Discovery District. It is followed by profiles of 10 Ontario digital health startups that are creating solutions for connectedness and enabling the shift of care from formal settings to the community. Market Intelligence (MI): What role do startups play in transforming healthcare? 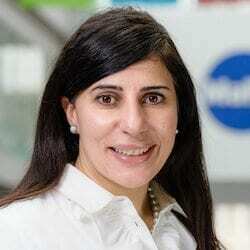 Zayna Khayat (ZK): Transforming healthcare requires innovation. Entrepreneurship underpins innovation. Key feeders of this innovation are new health ventures that are founded by entrepreneurs who are challenging the status quo. Entrepreneurship as a mindset is particularly salient in the health sector because we are witnessing the creative destruction of institutions that have been operating for more than 50 years. An entrepreneur is not necessarily someone who starts a small health company, but rather someone who redefines the status quo. [inlinetweet prefix=”Transforming Health:” tweeter=”” suffix=”| via @marsdd”]Young high-growth health ventures will be a key piece of the puzzle[/inlinetweet] because they will feed into the incumbent organizations that currently drive the health system (major health delivery organizations, government payers, third-party insurers and private players such as retail pharmacies, labs and medical product innovators). The incumbents are (rightly) bureaucratic by design—their processes are embedded and systematized to allow them to provide a consistent service or offering in healthcare at scale. It is a challenge for our established health institutions to be agile; they cannot easily change their business model, yet business model innovation is fundamental to achieving the connected and decentralized models described in Transforming Health Part 1. Startups, on the other hand, are agile and lean; however, they face challenges in scaling their technology. MaRS and several other organizations incubate and nurture startups and help them dock with health incumbents who can partner with them to further scale their products or services. Some startups might try to scale on their own, but this tends to be the exception. 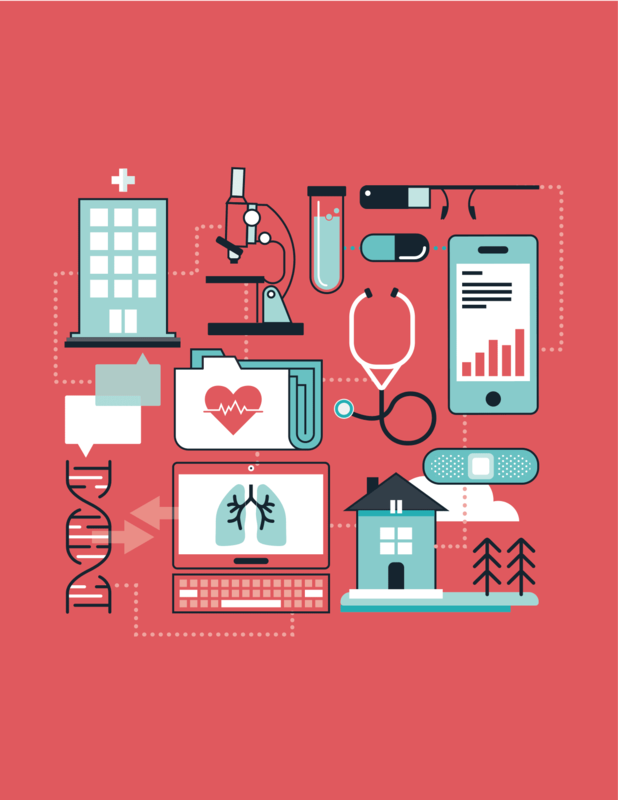 MI: What are the major hurdles for health IT startups? ZK: Among the many hurdles our young health companies face, two stand out. Firstly, as described above, our large healthcare institutions are in many ways designed to suppress innovation, and so embedding in an ecosystem where startups can plug in their technologies is critical to their ability to evolve their offerings and business models. However, it is very difficult for health startups to access these institutions to validate with first customers (patients, clinicians, administrative staff). For biomedical innovators (drugs, devices, diagnostics), there is at least somewhat of a defined path to access the health system. This is not the case for health IT ventures, despite digital health being the type of technology that the health system really needs right now, and despite it also being where the volume of innovation is happening (see Box 1). A second key challenge for startups in this sector is landing on a viable business model. It is very difficult for health IT innovators to monetize the technology they have developed as health IT is in many ways still viewed as a “cost centre” and not a “value centre” in organizations. MI: To facilitate adoption, what value proposition must health IT startups demonstrate? ZK: In a resource-constrained and highly evidence-based system like healthcare, it is critical to build a rigorous, (ideally) academically defensible value proof in order for a health IT technology to be adopted and paid for by the public purse. Theoretical returns on investment (ROIs) are no longer sufficient to convince a decision-maker to pay for, adopt and diffuse your technology. Startups require robust observational and empirical data, even better if there is a randomized control study that is published, together with a strong health economic model. In many cases it is not possible to do this “pre-market” (before selling into the health system) because health IT solutions have rapid development cycles, and the technology itself obsolesces rapidly and changes as it is used in the field by clinicians and patients. In these cases, where the decision-maker faces high clinical or financial uncertainty about the value of a health IT solution, a market entry strategy that health IT innovators can adopt is to [inlinetweet prefix=”Market entry strategy:” tweeter=”” suffix=”via @marsdd”]build real-world evidence while the technology is adopted live in market[/inlinetweet], and then adjust the payment scheme after an agreed-upon time frame with the payer. This is sometimes called “coverage with evidence development” (or “pay for performance” or “ managed entry” or “risk sharing agreement”) (see Box 2). This strategy is already being deployed by drug and device manufacturers with high-ticket technologies; health IT innovators are beginning to incorporate these schemes into their contracts with healthcare institutions. As an example, one of our young ventures recently signed a multi-year contract with an institution with a provision to check in every six months to show that the promised outcomes had materialized, and even were monetized. If the outcomes did not materialize, the terms of payment would be revised to ensure the buying institution captures their desired value-for-money threshold. Payers and procurers of health technologies are also reconsidering their current strategy for valuing health IT solutions. A unique challenge that was recently highlighted by PwC Canada is the impact of rapid price collapse on the “I” part of an ROI equation. That is, a technology assessment’s ROI analysis might indicate that a technology is cost-prohibitive based on its cost/price today, but as costs rapidly fall (think whole genome sequencing, which now costs as little as $99 in the United States) this might not always be the case. An adaptive ROI model is key for estimating the value-for-money of new and disruptive health IT solutions. MI: What is the role of new entrants like Google, Wal-Mart and Apple in the healthcare field? ZK: As has been eloquently framed and discussed by PwC recently in their New Entrants series, there is a growing phenomenon whereby many consumer goods and retail players are now in the healthcare business. This is being driven by the rising consumerization of healthcare—citizens/patients/families experience incredible customer service in other parts of their lives, and are now expecting that level of service and personalization from their healthcare providers. The incumbents are institution-centred or system-centred or physician-centred, and so it is a struggle to adapt their business model to be truly patient-centred. But new entrants in the healthcare business already think and act this way. They have an advantage over both the incumbents who can’t innovate quickly enough, and our health startups that are significantly less capitalized and do not have the level of scale that the new entrants possess. We have a few great stories of how new entrants and startups are making strides in Canada. For example, NexJ Systems began as a highly successful customer relationship management (CRM) company in the financial services, with customers across North America, Europe and Asia Pacific. They used this platform to enter health with an incredible offering, NexJ Connected Wellness, that is centred on activating patients to better manage their own health and wellness and connecting them to their circle of care (family, friends, and healthcare professionals). NexJ recently acquired Toronto health startup Liberate Health, which allowed them to extend their platform even further by providing education and literacy tools to patients (see Box 3). Another great example of a health startup docking with a new entrant is Toronto-based MemoText, whose first major client was Boots drugstores in the United Kingdom (which was recently acquired by retail pharmacy giant Walgreen’s) (see Box 4). In many ways retail pharmacies are healthcare incumbents, but they’re also new entrants because they’re entering adjacent spaces. That is, they’re extending their business from the core offering of the safe dispensing of medications toward becoming broad delivery vehicles for a range of healthcare services. Retail pharmacies now offer medication checking programs, diabetes support services, blood pressure checking, flu shots and more. Loblaws started as a grocery chain, which then developed pharmacies, and now some sites offer primary healthcare services. MaRS is working hard to help our young health startups dock with both incumbents and new entrants to help accelerate their strategies toward being broad consumer health solution providers. Toronto-based NexJ Systems was founded in 2003 and has been frequently recognized as one of the fastest growing technology companies in Canada. It offers cloud-based software for customer relationship management, focusing on the insurance and financial services industries. Leadership recognized that their technology could also bring value to healthcare, and they created the NexJ Health division. NexJ’s patient activation platform, NexJ Connected Wellness, is used to encourage greater collaboration between patients and their extended circle of care. 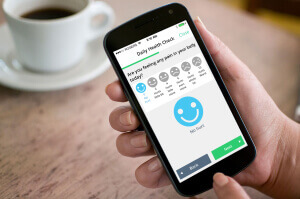 Patients can also receive personalized support from a health coach to encourage sustainable behaviour change.Liberate, a Toronto-based startup, has created a tablet app for point-of-care patient education. Healthcare professionals choose from a list of plain language, infographic teaching decks that are based upon current, peer-reviewed medical knowledge. The app creates an audio-visual record of the information presented, allowing patients to revisit it or share it among those in their circle of care. This new approach to patient education is intended to make the information more memorable and actionable, improving the patient’s understanding of their condition and increasing the likelihood of adherence to care plans.The acquisition of Liberate allowed NexJ Health to round out its Connected Wellness offering by adding patient education tools to its platform. Boots owns 2,500 pharmacy-led health and beauty stores throughout the United Kingdom. Originally an “herbalist,” the company has dispensed drugs for over 160 years. 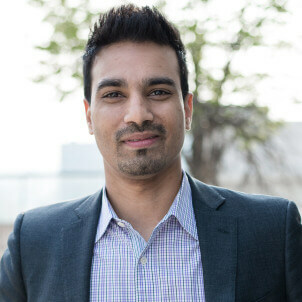 During its long history, Boots has branched out into both healthcare-related industries (optician services, nutritionist services, cosmetic procedures) and unrelated industries (home appliances, toys, photo printing) to varying levels of success.MemoText is a Toronto-based startup that provides mobile-based patient adherence solutions. Its solution involves an initial patient assessment (to determine behaviour, baseline knowledge, history, and preferences) and provides evidence-based phone, SMS, social, or app messaging to improve compliance. The solution has demonstrated increased patient adherence to medication regimes. As a result, it has also reduced payer costs and improved patient outcomes.Boots chose MemoText to expand their health services offerings. Walgreens, the largest drugstore chain in the United States, recently purchased Boots, which could prove advantageous for MemoText by opening up the American market for their solution. MI: What programs and initiatives can startups participate in to help them launch and grow their health ventures? ZK: In Ontario, across Canada and globally, health entrepreneurs are tapping into a number of resources and programs and opportunities for creative partnering. Some of these programs and institutions are summarized in Table 1. Alberta Health Services Strategic Clinical Network To get the most out of the healthcare system, Alberta Health Services has developed networks of researchers and practitioners who are passionate and knowledgeable about specific areas of health, challenging them to find new and innovative ways of delivering care that will provide better quality, better outcomes and better value for every Albertan. Strategic Clinical Networks are creating a one-stop-shop for innovation evaluation and adoption organized around unique patient conditions such as diabetes care, cardiovascular illness and mental health. Hacking Health Hacking Health is a global movement comprising chapters in cities around the world. Through design jams and hackathons, Hacking Health catalyzes collaborations between healthcare professionals, technology experts, designers, and patients to create innovative solutions to everyday healthcare challenges. Impact8 and Saint Elizabeth Healthcare The Impact8 venture boot camp and acceleration program targets high-impact entrepreneurs with blended value propositions: social enterprises, social purpose businesses and co-operatives with the potential to turn investment into positive social or environmental impact and financial returns. The 2014 Impact8 program featured health-based social enterprises in partnership with Saint Elizabeth Healthcare.Saint Elizabeth is a pioneer and social innovator with a goal to empower people to understand, manage and own their healthcare. Saint Elizabeth has had an in-house innovation team for more than a decade that has built capacity across the organization to quickly trial and validate new technologies and care models that push the envelope in helping their clients maintain or restore healthy lives in their homes and communities. Kangaroo Group and Kangaroo Spaces Kangaroo Group is a fully integrated medical devices company (with ISO 13485) that accelerates medical technology companies who choose to outsource their productization and design.Kangaroo Group recently opened a 1,500-square-foot “non-incubator” technology-innovation and collisions workspace for med-tech startups and technologies to improve the human condition. It is intended for young companies or project teams looking for co-working and shared office/workshop/lab/manufacturing space with access to all of Kangaroo’s facilities, who would benefit from the close proximity and exposure to the innovation ecosphere and daily activity at Kangaroo. MaRS Excellence in Clinical Innovation Technology Evaluation (EXCITE) EXCITE is a program that is creating a true “pull model” for disruptive medical technologies. It is a collaboration between a range of stakeholders in the health system that work together to help highly disruptive health technologies get to market faster and improve patient outcomes. At the end of the program, companies have a robust evidence package, called the EXCITE core evidentiary bundle, that they can use to streamline the pathway for both Health Canada licensing approval and reimbursement decision-making by payers. MaRS Innovation MaRS Innovation (MI) exists to address one of Canada’s greatest and most persistent challenges: how to transform brilliant research inventions into successful spin-off companies and innovative technologies.MI collaborates with its 15 member institutions and their technology transfer offices to commercialize market-disruptive intellectual property. MI works with technologies spanning multiple industry sectors including therapeutics, medical devices and diagnostic imaging, information and communication technologies, and advanced manufacturing and clean technologies. Mohawk’s mHealth & eHealth Development and Innovation Centre (MEDIC) MEDIC helps Canadian businesses, especially small- to medium-sized enterprises (SMEs), develop and commercialize innovative healthcare IT products and provides a centre of excellence for organizations undertaking interconnected healthcare projects. Ontario Centres of Excellence (OCE) AdvancingHealth OCE established a new program in 2014 to bolster health IT innovation in Ontario’s public healthcare sector by matching healthcare needs with innovative products and services through partnerships between public healthcare organizations, companies and academic institutions. The aim of the program is to unpack the barriers to ultimate procurement and adoption of novel health IT technologies into the Ontario health system. Ontario Network of Entrepreneurs (ONE) MaRS is one of 17 Regional Innovation Centres (RICs) that form the ONE network. Each RIC in Ontario provides advisory services to young companies in key sectors that will define Canada’s future economy—health, energy/cleantech/advanced materials, and information and communications technology (ICT). In health, MaRS currently works with approximately 300 ventures that span health IT, devices and therapeutics. Being a MaRS or any other RIC client provides new founders and their startups access to a suite of free advisory services and resources to help them take their idea to product, and their company from startup to scale up. 4. iDAPT (Toronto Rehab Centre) University Health Network (UHN), Canada’s largest academic health sciences centre, has established four innovation units that are helping to create and inject needed innovation into the health system.The Centre for Global eHealth Innovation has a mission to improve health for all using information and communication technologies. Touched by the broad spectrum of players that can elicit changes in health, they work with multi-disciplinary and international leaders from the social sciences, technology and health fields to transform health systems around the globe.OpenLab is a design and innovation shop dedicated to finding creative solutions that transform the way health care is delivered and experienced. OpenLab is particularly interested in low cost solutions that are affordable in the increasingly constrained fiscal environment of healthcare delivery. OpenLab is located at the University Health Network (UHN), Canada’s largest research hospital, but it work extends far beyond the walls of UHN. In fact, it views the health system as its lab. Techna is an institute of University Health Network, in collaboration with the University of Toronto, focused on the accelerated development and exploitation of technology for improved health. iDAPT is Toronto Rehab’s research program, consisting of over 85 scientists and 200 students. Working in their state-of-the-art Centre for Rehabilitation Research, investigators develop, evaluate and prototype solutions in a real-life setting. Each solution aims to maximize recovery from illness and to help individuals remain healthy and injury-free. ventureLAB Healthcare Ecosphere and Southlake Regional Health System ventureLAB is the Regional Innovation Centre supporting entrepreneurs in York Region, Simcoe Valley and the Muskoka District. In 2013, ventureLAB and Southlake Regional Health Centre established the Healthcare Ecosphere, a specialized program that connects hospitals, entrepreneurs, health services providers and academic institutions to guide and develop the unique innovations needed by healthcare organizations. The lead receptor site for the Health Ecosphere has been Southlake Regional Health Centre. A community hospital led by Dr. Dave Williams, Southlake Regional Health Centre has been at the leading edge of innovation adoption as the acute care provider receptor site for startups through the ventureLAB Healthcare Ecosphere program. Women’s College Hospital Institute for Health System Solutions and Virtual Care (WIHV) WIHV is a relatively new innovation centre established at Women’s College Hospital. WIHV aims to be a world leader in the development, evaluation and implementation of evidence-based health system solutions. Through a laboratory model, WHIV develops and tests new ideas, new programs and new policy approaches in the world of ambulatory care—and then helps to scale them across Ontario and beyond. We profiled 10 early-stage health IT companies based in Ontario who are fundamentally transforming the existing healthcare delivery model. These companies are helping to connect system players and aiding in the transition to home- and community-based care. The profiles highlight the companies’ technologies, how they are bridging current healthcare gaps, and their vision for the future of healthcare. Based in Waterloo, Alaunus (previously known as Professional Performance) provides home-care agencies and their remote practitioners with an end-to-end mobile practice management solution that alleviates manual paperwork and streamlines the management of the revenue cycle. 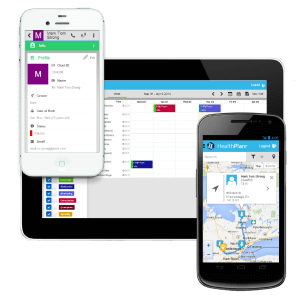 Using the company’s flagship product, HealthPlanr, remote practitioners can access and record patient information via their mobile devices, verify a visit using the app’s electronic visit verification feature (based on the phone’s GPS) and generate a client invoice. Evidence from pilot projects suggests that the mobile platform can save remote practitioners between five and 10 minutes of administration time per visit. The use of HealthPlanr results in better care for patients as information is recorded accurately and made readily available to their caregivers. Additionally, HealthPlanr reduces administrative costs for the healthcare agency and enables practitioners to focus more time on caring for their patients. The healthcare system has many inefficiencies that increase labour costs, delay services and lead to a decreased quality of care. As the healthcare industry shifts toward outpatient and home-care services, it is important that the appropriate tools be in place to ensure that care is provided in a cost-efficient manner. 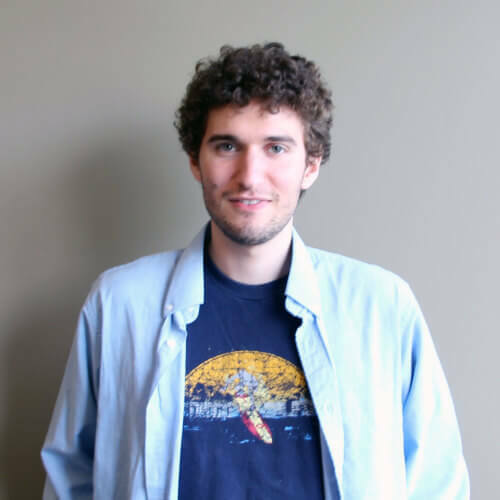 Andrew Ringer was motivated to create a product that would target one of these inefficiencies after he observed a friend’s mother lugging around boxes of patient charts and spending hours nightly on manual documentation. He founded Alaunus with the aim of helping remote practitioners provide care more efficiently for their patients, while also reducing charting mistakes and improving coordination and communication with the back office team. 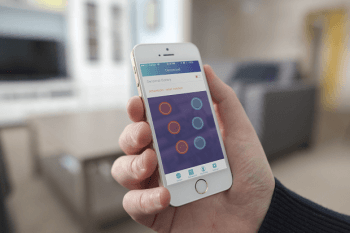 Ringer envisions a future where data flows freely from patient to doctor. 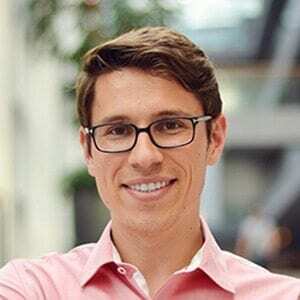 He believes that interconnected data sharing is the key to improving our current health system and that devices that capture health data will help facilitate this. Over the next few years, the healthcare industry will continue to move toward remote care. Doctors will start to prescribe medical apps and wearable devices to support their patients’ in-home care. These tools will reshape the information healthcare practitioners can access. Ringer sees Alaunus as a platform that will help revolutionize and digitalize the healthcare system. 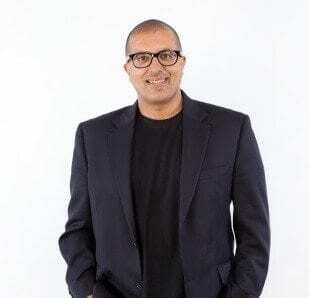 Tahir Janmohamed founded the digital health self-management company, ManagingLife, to help patients with chronic pain regain control of their lives. He was inspired to do so after having seen his uncle suffer with cancer. In October 2012, ManagingLife launched the full version of Manage My Pain, an Android app that allows users to record their day-to-day, even minute-to-minute, experiences and to learn what the symptoms mean for them. This data can be reported on an individual basis for doctors to better understand their patients’ health, or be captured in anonymous aggregate for insurance companies and government agencies to make informed systems-level changes. 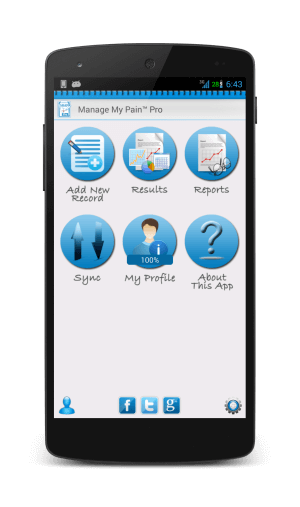 As of July 2013, Manage My Pain had been downloaded over 65,000 times with an 8% conversion rate, making the app one of the most downloaded pain management apps on Android. Over 13,000 users have securely uploaded more than 175,000 pain records to the cloud. One in five Canadian adults suffer from chronic pain, which costs annually an estimated $6 billion in direct healthcare costs and $37 billion in lost productivity costs.12 The current paucity and disconnect in patient-doctor communication, together with the trial-and-error approach to diagnosing pain in the absence of existing conclusive medical testing, likely contributes to these costs. 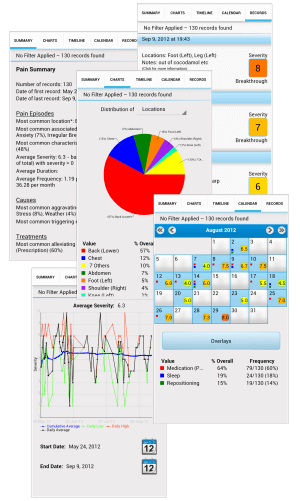 Manage My Pain not only adds data and quantifies pain in addition to the typical qualitative assessment, but it helps patients track, analyze and share their pain information by generating reports geared for physicians and clinicians. This enables more efficient and productive patient-doctor communication. Manage My Pain empowers, reassures and educates users about their own conditions so they can take reasonable next steps, helping avert unnecessary hospital visits. It also encourages patient-doctor communication to occur outside the hospital or clinic. Janmohamed believes technology will inevitably be embedded in the daily clinical workflow. He advocates that its dual-compatible patient-reporting capability will strengthen our medical knowledge once the healthcare system learns how to connect all data captured and make it available to physicians and other healthcare stakeholders. He holds that the most important and immediate needs are to share the data outcomes for public benefit, to enable proactive and medically validated advice based on real Big Data health trends. ManagingLife is collecting this data over the longer term for the underserved population that has chronic pain. The company aims to set the standard for defining how pain can be recorded and communicated, while providing a simple tool to improve patients’ quality of lives. Mozzaz was founded on the vision of empowering individuals to be active participants in their long-term care. To enable this, the company felt that it was important for individuals to be able to access care anytime and anywhere. The Waterloo-based startup devised a solution that involves a suite of mobile applications that connects patients with their healthcare providers and enables the delivery of a timely and accessible treatment program that drives high-quality care. Mozzaz developed three separate products: TalkingTiles, Mozzaz Care and Mozzaz Care Pro. These products work in combination to support different facets of a healthcare management plan. TalkingTiles delivers a personalized digital care plan to patients. Mozzaz Care is targeted at caregivers and enables the creation, delivery and monitoring of customized care plans. And Mozzaz Care Pro is a full clinical management solution that enhances TalkingTiles and Mozzaz Care by seamlessly integrating with a healthcare organization’s electronic health record (EHR) system. One of the most pressing challenges of our existing healthcare system is to provide care for individuals with complex healthcare needs. Mozzaz believes the solution involves moving care from the hospital, which was initially designed to treat acute and episodic illness, to the home and the community, where long-term chronic disease can be managed cost-effectively. The company aims to facilitate this transition through its customized digital care plans that can be monitored remotely by physicians and other healthcare providers. Mozzaz is currently conducting pilot studies in Canada, the United States, China and Saudi Arabia. Mozzaz envisions a future where the provision of healthcare will be data-driven. To address the wide spectrum of complex-care needs, healthcare teams representing different professions will use patient-level data to determine the most effective interventions. The company aims to help reshape the healthcare system by enabling healthcare providers to access new types of data to help develop effective care plans. The company’s founders firmly believe that care will continue to shift to the community, and will result in better outcomes for patients with complex health conditions. Unlike traditional home-care models, myPSW’s web-based platform allows consumers to find a local PSW directly. This helps families pay less and PSWs earn more. Another key distinction is that the family gets to choose the PSW that is most compatible both professionally and personally. The myPSW model addresses these issues by providing consumers with better affordability through self-managed care, and PSWs with improved work sustainability by offering a self-employment model while facilitating back-office functions. The fiscal strain on our healthcare system will continue as our population ages. The result is that more healthcare is being delivered privately. 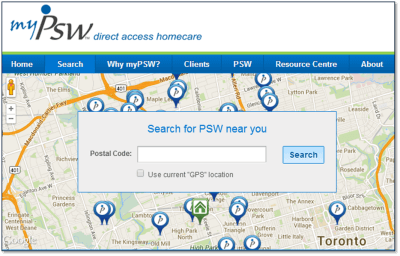 It is the aim of myPSW to create solutions that enable consumers to access private healthcare as affordably as possible. Opencare matches citizens with healthcare providers, facilitating interactions using a streamlined platform that books appointments. 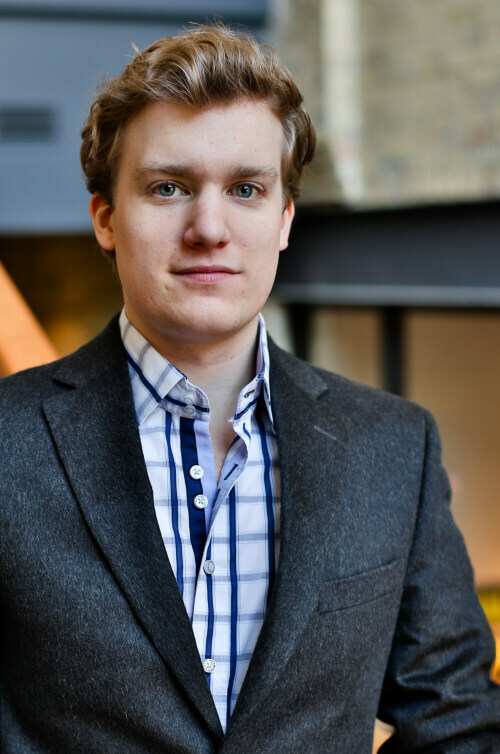 Heading Opencare is Nikolai Bratkovski, an experienced health entrepreneur who has lead and successfully exited several companies. Nikolai started Opencare after his own experience when he moved to Canada in 2000 and struggled to find a family doctor who was accepting new patients. Opencare aggregates diverse data about each healthcare provider, including specialties, unique expertise, experience, professional accreditations and more. The company also looks at information about the user, in order to best match them with the right healthcare provider. (Bratkovski likens it to eHarmony for health). Opencare also connects with various clinical electronic management and electronic health record software to display real-time availability for appointments. Furthermore, the platform can predict the scheduling needs of various healthcare practices to help them book appointments more efficiently. Bratkovski believes there is an asymmetry of information available in the healthcare system. He explains that most data is non-existent in the public domain, and that whatever information is available is disorganized and only available across multiple platforms and sources. Adding to this is that the average person does not know what they are looking for when searching for a healthcare provider, nor do they have the ability to compare providers uniformly. Opencare streamlines proprietary and publicly available data, giving it to the consumer in a user-friendly format and matching patients with the right provider more efficiently. Opencare foresees that the future of health is beyond the hospital. Instead of mega-hospitals, specialized clinics and centres will become more common. 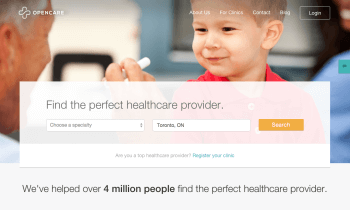 Opencare is positioned to help consumers find new specialized clinics and centres that are best for them. In future, patients will be empowered to make better decisions using this type of data. QoC Health was founded with the simple mission to reimagine the patient care experience, to shift care to the community and to keep patients out of the hospital. Accordingly, QoC Health has developed a healthcare solution called Cloud Connect that aims to improve patient outcomes. The Cloud Connect platform helps in areas such as monitoring post-surgery discharge, wound care and care transitions, and providing decision aids. For example, with Cloud Connect a patient may have access to educational material about their condition, medication and care regimen, connectivity to like-patients as well as their electronic health record, and access to third-party caregivers. QoC Health can customize its platform and build and add features as required by the customer. In the future, doctors will be able to do daily rounds in the hospital, followed by virtual rounds for patients outside of the hospital. QoC Health anticipates that legislative changes will take place to reimburse healthcare providers for this service. With an aging population and the accompanying rise in patients with complex-care needs, institutions will not be able to handle the volume. They will not be providing most of the care. It will shift to the community. Patients will drive this shift the more they are empowered to care for themselves using new and powerful mobile tools. While working in the pharmaceutical and consumer healthcare sectors, Grace Soyao noticed that patients were increasingly motivated to drive their own care. The Internet and other technologies were empowering patients, yet industry players did not understand their needs and behaviours, particularly at home. To address this gap, Soyao founded Self Care Catalysts, a company that researched how patients care for themselves day-to-day, outside of healthcare settings. After several years of study, Self Care Catalysts looked at the insights generated and decided to pivot, becoming the health technology company it is today. 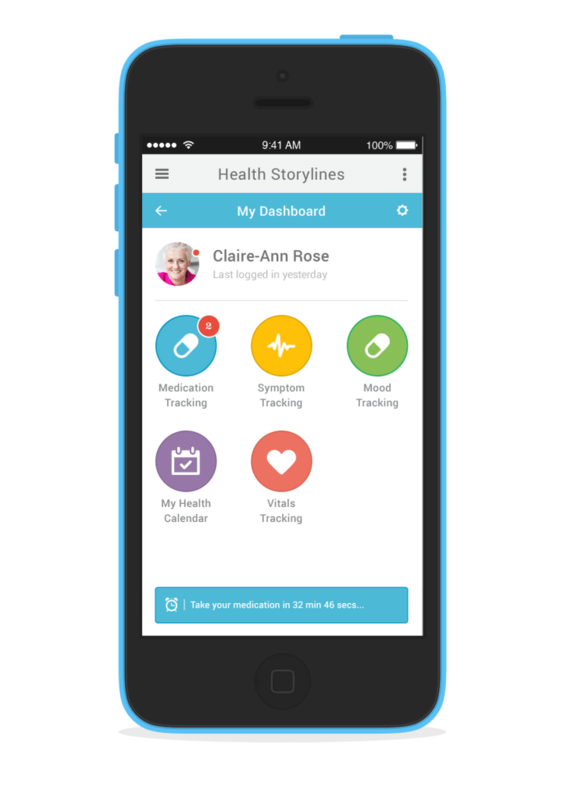 Self Care Catalysts’ Health Storylines™ is a self-care app that guides and informs patients about their condition, and helps them monitor their progress over time. The company’s Patient Storylines™ Intelligence Platform then anonymizes the patient data and delivers health informatics to help inform patients, providers and companies, enabling them to tailor solutions to improve patient outcomes. Self Care Catalysts believes a gap exists in the industry’s understanding of the experience of people living with health conditions. The company feels that patients need more support, which Health Storylines offers. Health informatics from patient data also targets this gap by providing the missing information to better align patient needs with care delivered. The company has entered into a several key partnerships to deliver its Health Storylines solution. In the past, physicians held the decision-making power. Self Care Catalysts recognizes that the healthcare industry is shifting the focus to the patient, who is becoming empowered to make his or her own choices. Patients must take this control and become informed so they can navigate the system successfully. The changing power dynamic has motivated the industry to better understand patients, and the Patient Storylines Intelligence Platform facilitates this. The company believes that in coming years, patients will be less fearful of sharing data. This openness will stem from a better understanding of how data can generate great ideas and inform innovative solutions that meet patients’ needs at times they need them most. Electrical engineer David Mravyan was always interested in applying his skills to medical devices. While doing some prototyping with the Toronto Rehabilitation Institute, he learned about pressure ulcers, a problem in healthcare that has significant associated costs. It was there that he thought of the concept behind Sensimat System’s technology, which he later brought to market. The SENSIMAT is a tool that helps wheelchair users manage pressure and avoid ulceration. Generally, wheelchair users need to perform a pressure relief (involving leaning or lifting oneself off the chair) every 15 to 30 minutes. This can be difficult to remember because there is often no sensation below the point of injury. 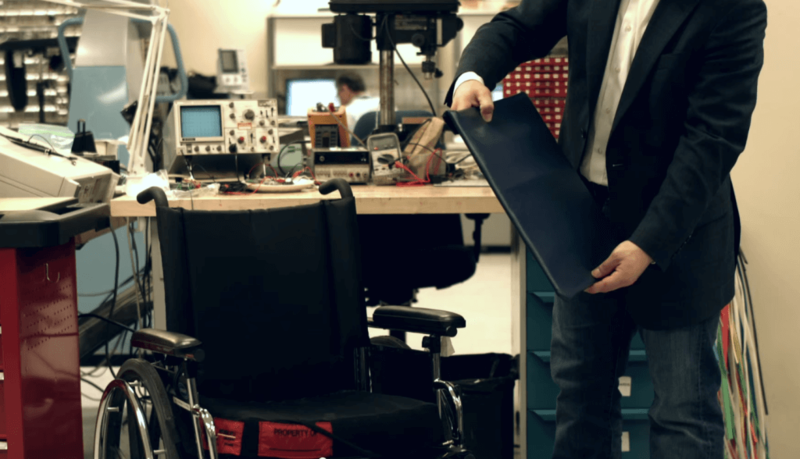 The SENSIMAT is a pad of sensors that slides directly beneath any existing wheelchair cushion. It is a retrofit tool. A connected app relays data to the user’s smartphone, telling them when they’re due for a relief. A secondary product, a portal for monitoring pressure data, is being developed. 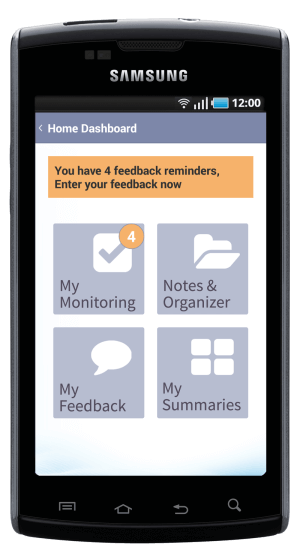 This dashboard can be used by occupational therapists, physiotherapists or other caregivers to monitor the user remotely and help identify when an individual is at risk of ulceration. Mravyan is currently exploring ways this sensor technology could be applied to other products, such as hospital beds, prosthetics testing and fitting, office chairs and automobile seats. Mravyan recognizes that the healthcare system is now placing more emphasis on home care. SENSIMAT is a technology that supports this new healthcare model—it empowers patients to care for themselves, while connecting them with health professionals who can monitor them and intervene when needed. The company has been awarded funding and grants that it is using to develop, test and validate its technology for different applications, locations and users. The research will help refine the product for use in various decentralized healthcare settings. Mravyan envisions the future of healthcare as “connected everything,” with systems becoming inexpensive and simple to integrate. He sees this connectivity resulting in large data sets that can be used to identify inefficiencies and address challenges. The first step, he believes, will be to build bridges between academia, industry, and clinical research. By uniting these three pillars, Ontario will be best positioned to commercialize its research and innovations. 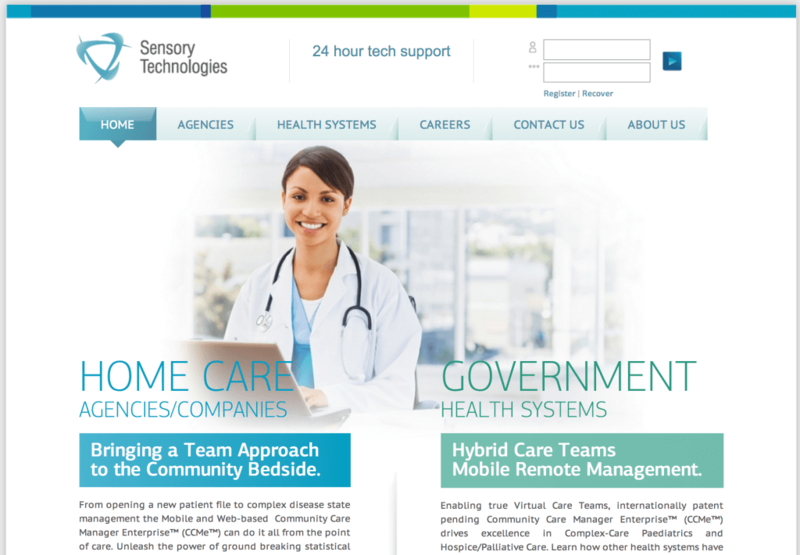 Headquartered in London, Ontario, and with offices in Toronto, Philadelphia, Minsk and Europe, Sensory Technologies has developed a new service model that enables registered clinicians to increasingly work remotely with the aid of trained medical assistants. 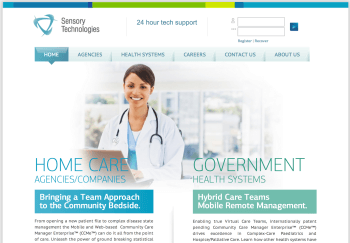 Sensory Technologies’ lead solution, eShift/Community Care Manager Enterprise (CCMe™), is a hosted, collaborative and care-centred mobile and web application that transforms the heavy paperwork of home care into an electronic data collection and real-time information system. For example, the current healthcare model requires one trained nurse to visit and deliver care to a patient with complex medical needs. With eShift/CCMe, one nurse can manage up to four personal support workers (PSWs) to deliver that care using the mobile app and web platform. Enabling virtual care teams with CCMe has been shown to lower costs for the overall healthcare system, reduce hospital readmissions for target populations, increase community bedside capacity, increase professional satisfaction of clinical teams, and, most importantly, deliver improved patient care. As the global population ages and healthcare costs continue to climb, governments and health systems are looking for ways to care for more patients outside of the hospital. In most cases, this means the home. Delivering services to patients with complex-care needs is resource-intensive and requires specialized nurses. Human resource allocations in the healthcare system are stretched as it is, and this is exacerbated in remote communities. 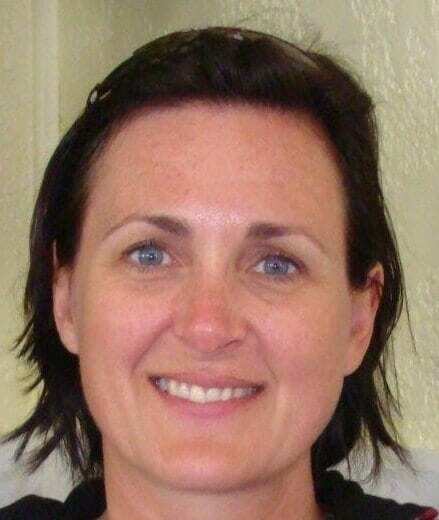 A shortage of community nurses often leaves family members responsible for delivering care around the clock to loved ones with a terminal illness or complex medical conditions. The eShift/CCMe platform bridges this gap by increasing the capacity of specialty trained nurses, enabling them to monitor and direct PSWs to take care of patients at home. The future of healthcare is expensive. Opportunities for innovation will exist that drive transparency, reduce admissions, increase the capacity of the healthcare workforce and deliver lower overall treatment costs. Leveraging their clinical, business and technology expertise, the co-founders of SeamlessMD built an enterprise healthcare platform. Available on mobile and web, the product engages patients, enables remote monitoring, and provides analytics for the periods both before and after a surgical procedure. For the patient, SeamlessMD replaces the traditional paper-based care plan with a digital, interactive format for surgical preparation and recovery, with timely reminders, visual instructions, and photo and video information. For healthcare providers, the product captures real-time and relevant data across the entire episode of care, including symptoms, health surveys, and satisfaction. Additionally for healthcare providers, SeamlessMD aggregates the data to a population level, making it meaningful to drive organizational and quality improvement. Future iterations of SeamlessMD will integrate with electronic health records (EHRs) to maximize efficiency as well as deep intelligence. By combining this data, complex analytics and predictive modelling can be performed, which may predict readmissions and enable earlier healthcare interventions. When a patient is discharged from hospital, a healthcare gap emerges. Following surgery, the current standard of patient education is either verbal or paper-based. Most patients find surgery traumatic and stressful and so verbal instructions can be forgotten or paper instructions not fully read or or lost. This puts patients at risk and prevents providers from delivering quality care. SeamlessMD offer the opportunity to deliver advanced remote care. Healthcare providers can remain connected to patients through its interactive digital platform that allows prompts, notifications and unlimited access to accurate information about the patient’s care plan. And the data that patients upload about their status and symptoms helps providers better triage patient inquiries, thereby reducing stress on the healthcare system. Fundamental shifts in healthcare are taking place, with an emphasis on quality care (versus volume), cost-efficient technology, and data. This has spurred innovation in the areas of digital health, informatics and devices. In the next few years, we will start seeing which products actually generate value for the system, both in revenue for companies and ROI for the healthcare institutions. The goal of SeamlessMD is to fit in the changing landscape and create value for all stakeholders. 2. Klemp, M., & Fronsdal, K. (2011). What principles should govern the use of managed entry agreements? International Journal of Technology Assessment in Health Care, 27(1). We’ll highlight the innovators in industry, academia and government throughout this series. In fall 2014, we will cap the series with HomeConnect 2014. This event will feature some of our companies, alongside major industry players, as they showcase their technology and solutions. Accessing data is key, but we think that being able to format and analyze that data is where the real value can be found. During this series, MI will delve into the market opportunity now becoming available due to progress in opening up datasets, and the development of infrastructure and analytics that are creating new services and products and bringing them to market.